WEAR is an open source low cost smart wearable device to ensure safety of women by giving the caregivers security alerts. The Global Positioning System (GPS) is a satellite-based navigation system made up of a network of 24 satellites placed into orbit by the U.S. Department of Defense. GPS was originally intended for military applications, but in the 1980s, the government made the system available for civilian use. What are the problems faced by women around the world ? "violence against women is a manifestation of historically unequal power relations between men and women" and that "violence against women is one of the crucial social mechanisms by which women are forced into a subordinate position compared with men." Since the couple of years when I used to read newspapers I often read about the increasing rate of Violence against women in the National Daily's. I was frustrated by this and believed that "I can change this situation" or atleast I could create a device and open source it so that any developer on earth can make the current device better and bring out a change in this problem. WEAR is made on top of the MediaTek LinkIT One Board.It is connected to a GPS module and also a Wifi Module.It is then hooked up to a 16*2 RGB LCD , I have also included a Button and a piezo buzzer. What makes WEAR Stand 'OUT' ? In the Hardware Device Mode the user can click on the button on WEAR , on doing so the caregivers get a SMS Alert with a link to track the user in Real-Time. In the Smartphone Mode the user can open the WEAR Android App and Click on the Alert Button. On doing so a Notification is sent to the Wear Hardware Device at the user's home so that the caregivers can get a buzzer notification with a Link to monitor the User in Real Time on their Computer. Hope you enjoyed reading the Introduction , Now let's start building WEAR! Firstly you need to fix the Grove Base Shield on the Mediatek LinkIt One Board. Then , connect the 16*2 LCD module to the 12C pin in the Grove Shield. Now , take out the WiFi and GPS Module from your Mediatek LinkIt One box and fix them to the allotted areas present behind the LinkIt One Board. 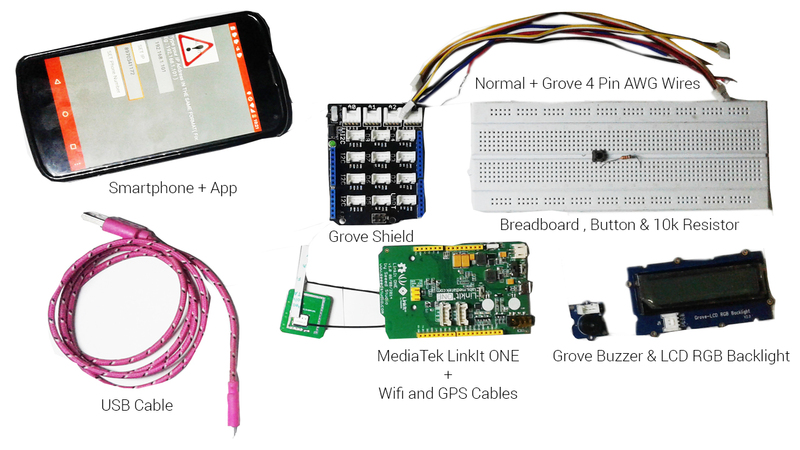 Next , You need to take the Grove Buzzer module and connect it to any Digital Pins on the Grove Shield. For this you need to fix the push button as shown in the schematics above and connect the different leads of the push button to 5V , Ground and a Digital Pin respectively. Now you can take the entire setup and put it into a box that is designed so that it fits the LCD Display and button in proper locations. You can refer the 3D Design below , make sure that you design a lid as well a place for the push button to fit into. Once you have completed the Setup , you can launch the IDE and make sure you are connected to the Proper COM Port. What is MIT App Inventor ? MIT App Inventor is an innovative beginner's introduction to programming and app creation that transforms the complex language of text-based coding into visual, drag-and-drop building blocks. The simple graphical interface grants even an inexperienced novice the ability to create a basic, fully functional app within an hour or less. As I had to rapidly develop and android app that does something simple , I found out about MIT App Inventor that let's you build apps in an easy way. 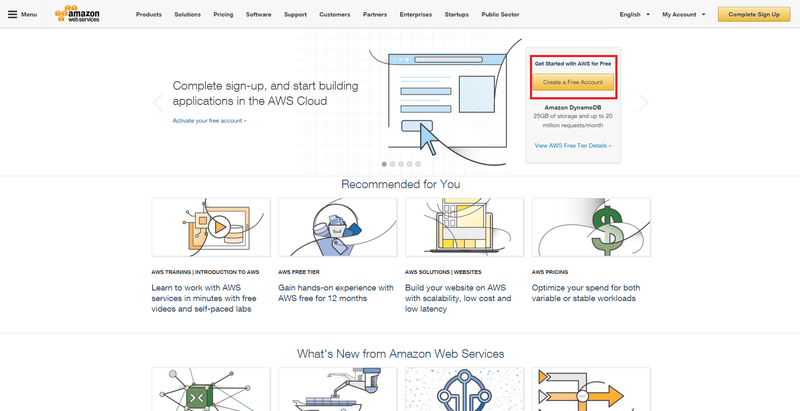 You can use the AWS for connecting the Button to the Cloud and then track the user in real time. #define WIFI_AP "Your Wifi SSID"
#define WIFI_PASSWORD "Your Wifi Password"
I work on arduino, intel edison and android development for making assistive technologies for specially abled people.